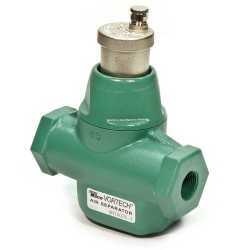 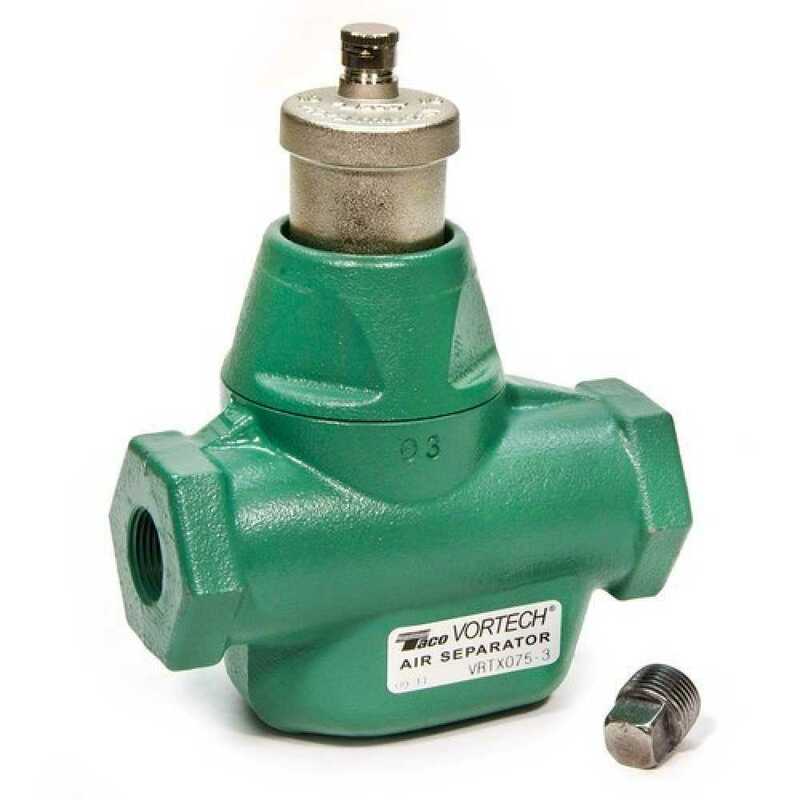 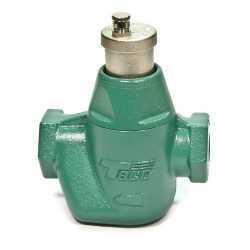 The VRTX125-3 from Taco is a Vortech Air Separator with 1-1/4” Threaded inlets. 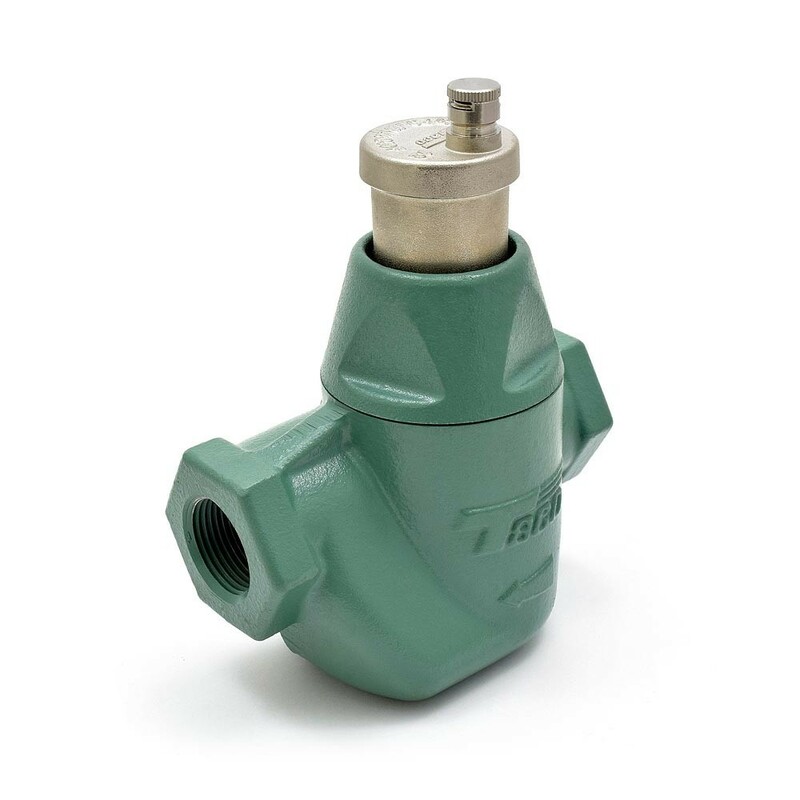 It's designed to provide an enhanced level of air removal in a large variety of hydronic, radiant heating, cooling or combination systems. Air is quickly and effectively separated and eliminated through a factory installed Taco Hy-Vent. 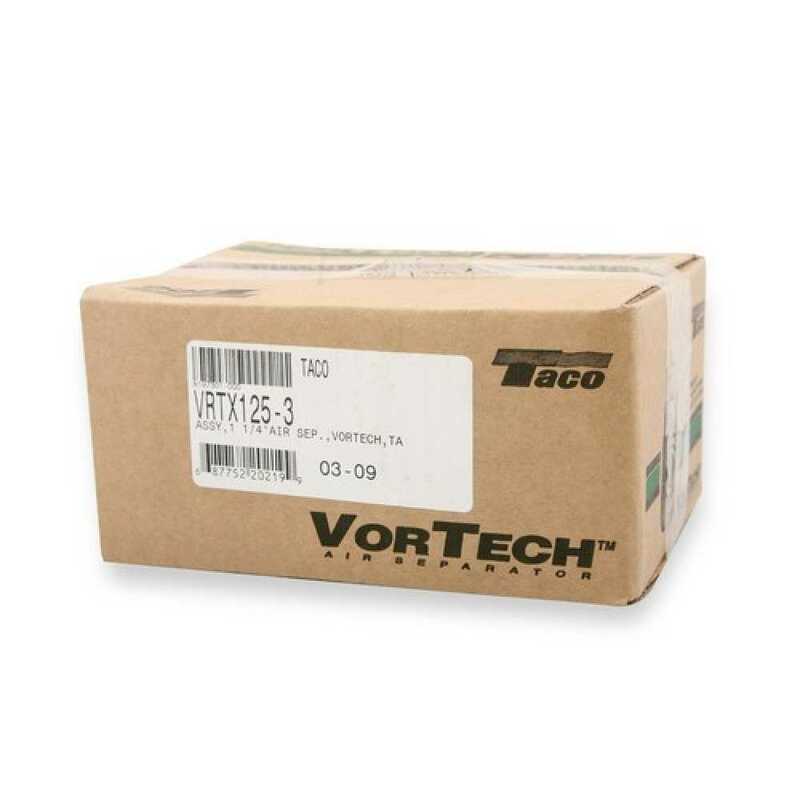 Taco VorTech air separator is also designed with a 1/2" tapping at the bottom for easy installation of an expansion tank.